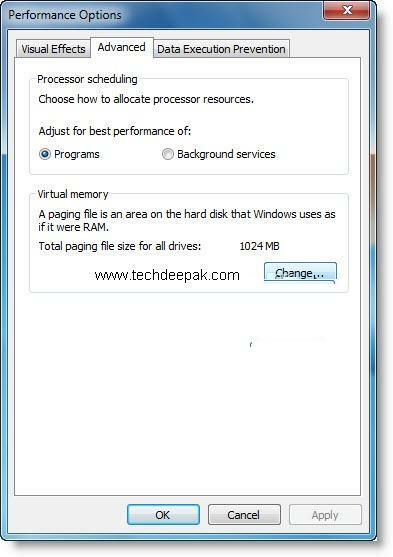 Virtual Memory is a space allocated in computers hard disk to combine with RAM (Random Access memory) and act as virtual extra RAM to boost up computer’s performance at times of high resources usage. 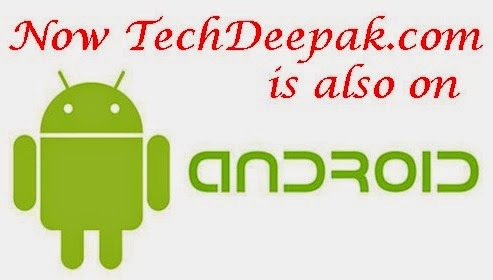 This is done by allocating a temporary hard disk space called as “Paging File” . 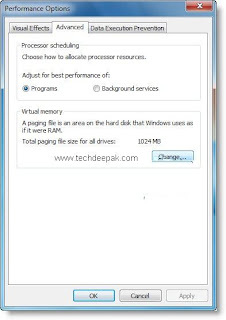 This file helps in moving data to and from computer’s RAM. Due to this, RAM is freed up and increases stability of your system. 1. 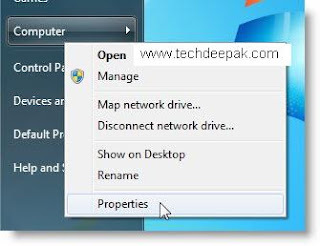 Click Start button, then right-click on “Computer” and select “Properties”. 2. 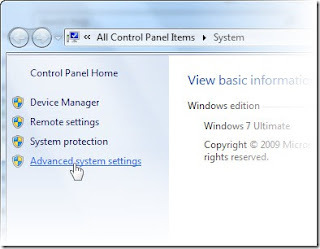 In the left pane of the System Properties windows, click on the link “Advanced system settings”. 3. 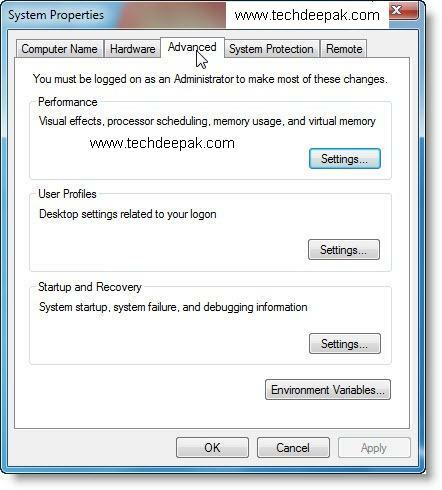 In the “Advanced” tab of “System Properties” dialog box, click on “Settings” button in the “Performance” section. 4. In the “Performance Options” click on “Advanced” tab. Then click “Change” button. 5. 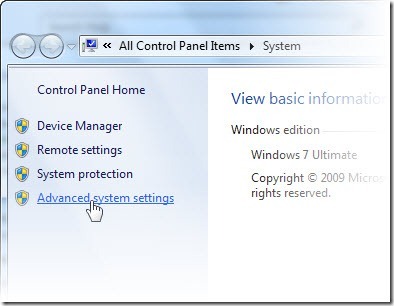 Clear check box “Automatically manage paging file size for all drives”. 6. Select “C:” volume label, and change radio button to “Custom Size”. Enter a initial size of paging file in MB. Normally for a 1GB system RAM, the initial value would be 1024MB. Enter Maximum size in MB. 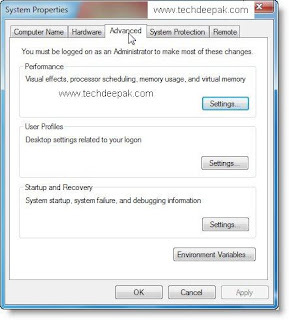 This value will be recommended by Windows as shown in the screen-shot below. In our test PC, Windows recommended 1521MB for Paging file size. Check your system’s value and enter it accordingly.